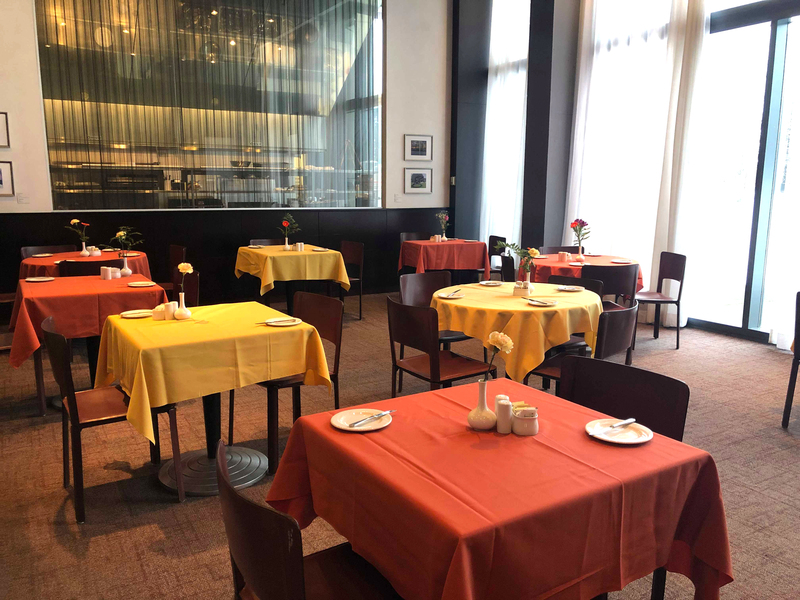 Located on the ground floor of the Living Arts Centre adjacent to the elevators, LIVE offers diners an enjoyable experience with an exquisite taste of the arts. LIVE's main rotund dining area is surrounded by full-length windows, allowing natural light to fill the dining room. By night, warm neutral colours and beautiful, dark wooden walls create an intimate setting for pre-theatre dining. Take your pick from our Prix Fixe menu or our à la carte options prior to performances in RBC Theatre! Pre-Show ‘Prix Fixe’ dinners may also be available as part of our Dinner & Show Packages! Enjoy a sumptuous buffet spread prior to most performances in Hammerson Hall! Pre-Theatre Buffet dinners can be purchased as part of our Dinner & Show Packages!